Not infrequently, some very important medical studies don’t get the attention they deserve. 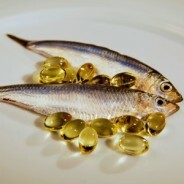 A long term study about fish oil prevention of mental illness, in this case psychosis, came out in August. The results of that investigation should have been shouted from the roof tops. Its time again to raise my voice. Imagine a short term treatment, lasting only 3 months, that significantly reduced the likelihood of perhaps the most severe form of mental illness and continued to do so for the next SEVEN YEARS! If you imagined a bottle of fish oil, you nailed it.